Description: Want to create and publish an ePortfolio for yourself or your students? 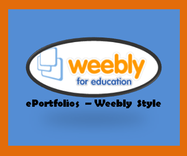 If so, let me help you design a Weebly.com ePortfolio for yourself or your class that houses essays, photos, digital stories, presentations and videos. Publish a site that you will be proud of for years to come. This presentation was given at LACUE November 27, 2012. Description: EdCamps are “Unconferences” offered by teachers for teachers. Teachers are the presenters and the campers. Do you want to change the way professional development is done? Do you want more for your campus or district? We have tips and resources to help. Description: This session will help you create a Personal Learning Network that you can rely on for resources and advice. During this session you will explore: Twitter, Facebook, Blogs, ePortfolios, online business cards, RSS, and Do It Yourself Professional Development. Let me show you how to use Weebly.com to publish your work. Looking for a way to create ePortfolios for you and your students? Need a website for class? Join me in this session and I will show you how to create ePorfolios for your students and for yourself. Weebly.com can be used to publish work, share videos, create a blog and connect with others. View more presentations from VR Burton. 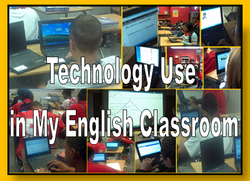 This site houses examples of technology use in my English/Composition Class. See how we use comic strips, digital stories, etc. This presentation was recorded for the Sandbox Play thread of the K12 Online Conference. Google forms, Wordle, Wikis, Blogs, Screenr, Twitter, Weebly and Photopeach. I am an English Teacher, Mother of two, Lifelong Learner and Teacher Trainer.